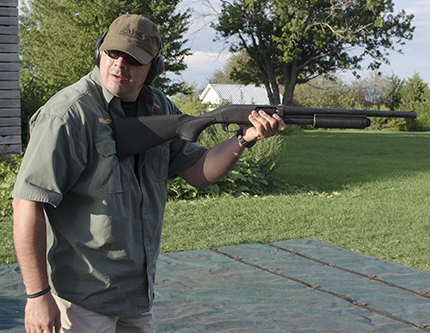 This course is at least ten-hours long and includes classroom and range time learning how to shoot shotguns at moving targets. Students learn NRA’s rules for safe gun handling; shotgun parts and operation; shotgun shell components; shotgun shell malfunctions; shooting fundamentals; range rules; shooting at straight away and angled targets; cleaning; and continued opportunities for skill development. Students will take a Basics of Shotgun Shooting Student Examination, and upon successful course completion receive a certificate. Students will take a Basics of Rifle Shooting Student Examination, and upon successful completion receive a certificate. Students will need to bring a pen and note taking material, their firearm (If they have one), ammunition,eye and ear protection. These items can be rented at the range for a minimal fee. We have several firearms that may be used at no charge.